The Old Stables in Swerford, near Chipping Norton, Oxfordshire sleeps 2 people. 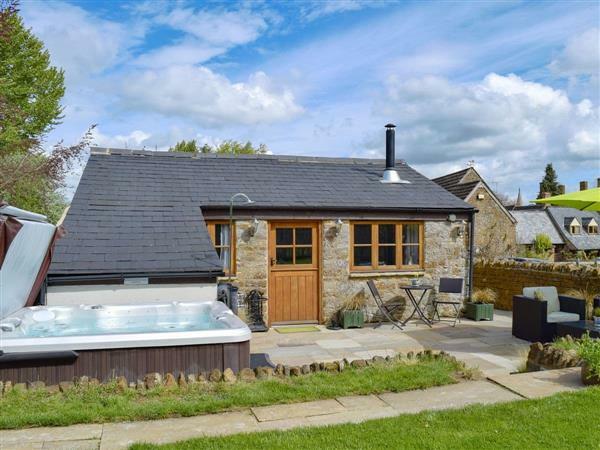 The Old Stables near Chipping are beautifully renovated stone cottage set on the edge of the quiet Oxfordshire village of Swerford, only 4½ miles from Chipping Norton and the Cotswolds, an Area of Outstanding Natural Beauty. 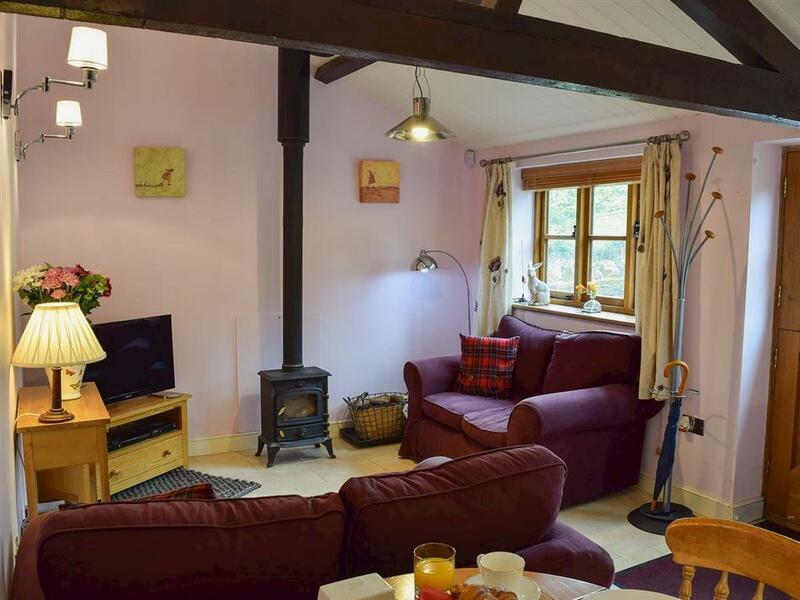 This is the perfect retreat for couples looking for a sightseeing break, all on one level, complete with underfloor heating throughout, a bathroom with monsoon shower, a hot tub, a herb and vegetable garden that guests are welcome to use, and a gas barbeque. The living area has a cosy wood burner and there is a comfy Hypnos bed. The Old Stables is set on the discreet owners’ farm, where you will see alpacas, goats, donkeys, sheep and chickens. There is also an arts and craft studio on-site where you can book private workshops direct with the owner. The village of Swerford is ideal for walkers and cyclists with many pathways running through it, and it boasts a beautiful church and a site of an old motte and bailey which is believed to pre-date the church. The next door village of Hook Norton has a great village shop and is the home to Hook Norton Brewery where you can take a tour, sample the local beer and take some souvenirs home. Just a short drive is the town of Chipping Norton with many independent shops, pubs and restaurants. The Old Stables is a great base to explore more of the Cotswolds towns and villages including Stow-on-the-Wold, Chipping Campden, Bourton-on-the-Water, Moreton-in-Marsh, Great Tew, The Slaughters, The Rollrights and Woodstock where you will find Blenheim Palace. The historic university city of Oxford is 27 miles away, the outlet shopping village of Bicester is 18 miles, the market town of Banbury is 9 miles and Shakespeare’s Stratford-upon-Avon is 24 miles. The shop is 3 miles from The Old Stables near Chipping, with the pub and restaurant 1 mile from The Old Stables. The Old Stables near Chipping is all on the ground floor. Beams and tiled floors throughout. Living area: With wood burner, 32 3D Smart TV, DVD player, Blu-ray player and CD player. Bedroom: With double bed and Smart TV. Electric underfloor central heating, electricity, bed linen, towels and Wi-Fi included. Travel cot available on request. Welcome pack. Arts and crafts workshop (book direct with owner). Enclosed lawned garden with patio, garden furniture and gas barbecue. Hot tub for 4 with shower facilities (private). Private parking for 1 car. No smoking. Please note: No children except babes in arms. There are 3 steps to the lawned area of the garden; level access to the patio from the parking area. Holidays at The Old Stables run from Saturday to Saturday. The Old Stables is in Oxfordshire; should you be on the lookout for a special offer, you can find all the special offers in Oxfordshire. It's always worth checking to see what is on offer at the moment. Do you want to holiday near The Old Stables (UKC2056), you can see other cottages within 25 miles of The Old Stables; have a look to find your perfect holiday location.